Playing as key link between Country office, Insurance Company and field offices in Credit Life Insurance contracts. Collecting necessary information needed by insurance Company e.g Dead members, outstanding loan balances, reason for death and other related information required to be filled in Insurance Claim form. Ensure claim forms are filled in a required manner, submitted on time to Insurance Company, claims are recorded in Company records and recovery are followed, monitored and accounted appropriately. Recording transactions related to Insurance arrangement including claims, recovery, write off (if any) or provisions in the accounting system. Cooperate with other staff in the Accounts department and programs in getting things done especially on reducing Portfolio at Risk (PAR) balance caused by death, enhance Compliance and smooth running of the Company. Ensuring that insurance premium is deducted from borrowers and posted to our accounts through Field accountants. 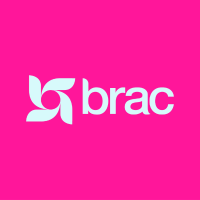 Ensuring that insurance premium is paid to the insurance company and the commission for BRAC deducted accordingly before the premium is remitted as per the agreement. • Competent in Insurance claims cycle including understanding, procedures and follow up on recovery from insurance Company under Life assurance policies. Application deadline is 31.01.2018. Only shortlisted candidates will be contacted.